"The dog days are back. No more snow, maybe a light rain here or there, but the time to exit the hibernating hovel is now. Allergies be damned, it's time to break out those shades and soak in the sun. 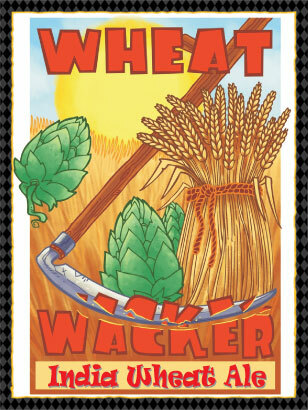 Whether your idea of enjoying the longer days include gardening, lawn work, or just plain relaxing, we offer for you the Wheat Wacker, light in body but hoppy enough to know that this isn't any normal lawnmower beer. On the west coast, we are partial to our hoppy beers, but love to experiment in the Belgian fashion. By combining the sessionability of a witbier and the citrus qualities of Pacific Northwest hops, it gratifies on all fronts, including the warm fronts. Is it a Belgian IPA, not really; a hoppy wit, maybe? Perfect for the summer, we think so. Pilsner and wheat malt give the beer a light golden color with a subtle hint of clove and fresh cut grass. Blending European noble and Pacific Northwest hops, the flavor is moderately spicy and citrusy. Dry hopped like an IPA, fruity apricot notes intermingle with Belgian Yeast esters. Available in 22 oz bottles." - Nice rather clear bright copper and straw yellow session-looking brew. Fluffy quick bright white head settled to a bubbly ring and thin layer over the brew. Solid. - Kind of a roasted, caramel, wheat smacked madness with a touch of butter. Not so sure this is as it was meant to be. Certainly some diacetyl at play here. Which also doesn't usually occur if a bottle is even slightly old on the shelf, but rather pulled from the fermenter or bright tank too soon. Grassy and herbal hop notes, and a citrus finish. 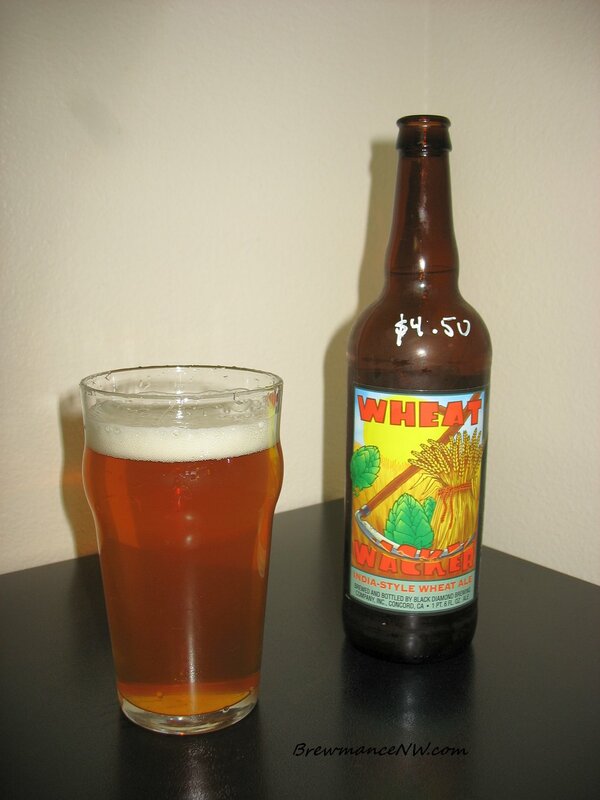 - Nice wheat malts, and light caramel sweetness. Little bready with a tangy wheat roast. Nice resinous bittering hop, earthy, grassy, but overall a toss up. Some slight issues with this one. Not so much butter in the taste, but more astringent. Light citrus in the hop. - This brew is well carbonated, and drinks well. It's a touch dry, and chewy. Medium body, slight creaminess, and is overall quite good as far as the feel goes. - If this brew was as clean and perfected as it was meant to be, it may have some super high marks. The early boil hopping is nice, and the wheat bill is heavy and well played, but just some slight imperfections kind of drew this beer down a notch or two. I can see where it's going though.